This week’s guide is a collection of fun cocktails to sip, regardless of the temperature outside. 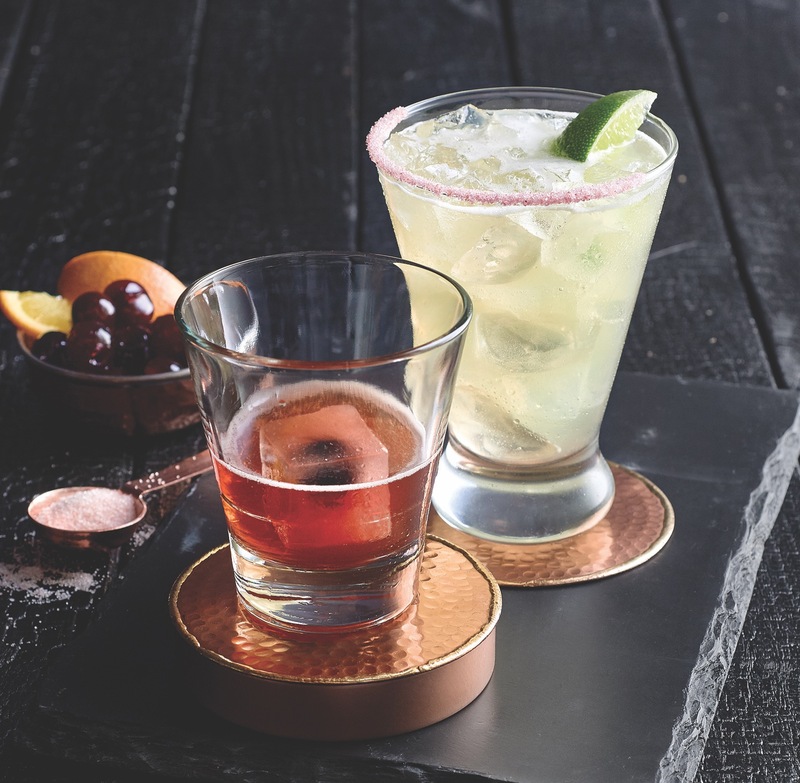 From a grapefruit mule to a hot cinnamon-apple toddy, pick the drink that fits the climate you are feeling and enjoy. Hophead Hop-Infused Vodka, Paula’s Tx Ruby Red Grapefruit Liqueur, fresh lime juice, house-made green tea tincture and Fever Tree Ginger Beer come together creating a deliciously hoppy concoction with a mellow hint of jasmine. IPA lovers will enjoy this fun cocktail. Inspired by the Cher song “Dark Lady”, this cocktail features Equality Vodka – a company which donates a portion of their sales to LGBT organizations that champion equality. To that lime juice, muddled black berries (‘Dark’), a touch of St. Germain Elderflower Liqueur (‘Lady’) and soda water come together rounding out beautiful, perfectly balanced drink. You don’t have to be a fan of the Dallas Cowboys to know that Dak Prescott has become the talk of the town. Why not enjoy a cocktail named after him while you enjoy the game on Sunday. Whiskey, lemon juice, simple syrup and a splash of sprite come together creating a tasty drink that will go down easy while watching The Boys play. BONUS: Eastwood’s Bar will donate $1 to the Salvation Army for each drink sold. This drink is a Mexican twist on a cocktail classic. Del Maguey VIDA Mezcal, 1800 Añejo Tequila, Monin Agave Nectar and Angostura Bitters are served over a Luxardo Cherry-Orange Ice Cube creating a slow sipping cocktail with evolving flavors as the ice-cube melt. BONUS: Don’t pass on eating the cherry. Once the ice-cube fully melts, fish out the cherry. Luxardo cherries are luxury maraschino cherries. The flavor is divine! Hot Toddy, the traditional cocktail for the chiller months of the year gets the STIRR treatment. Over Proof Rye Whiskey, cinnamon-apple syrup, lemon, grated nutmeg, and cinnamon. Are combined in a glass mug, and garnished with fanned apple slices and a charred cinnamon stick. The cinnamon-apple syrup and seasoning give this toddy a truly unique flavor. So unique that you can only find it at STIRR!